Do you want to improve the way your lawn looks? Then just get in touch today to arrange a FREE lawn review. Our team will inspect your lawn’s condition and can apply a quality lawn Top Dressing to improve the overall quality of your lawn. 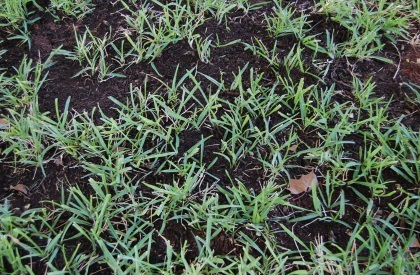 A great way to improve the condition of your lawn is to regularly apply Lawn Top Dressing. The Top Dressing material used is dependent upon the issue you are looking to resolve. 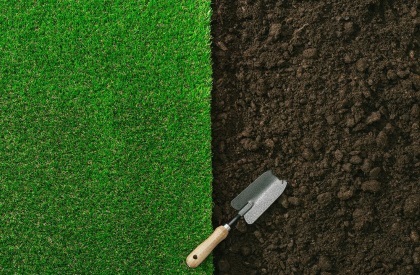 Ideal Lawncare can achieve these great results by having a high-quality mixture of graded sand and loam/soil applied and worked into your lawn’s surface using a drag mat or lute. Another reason for Lawn Top Dressing is to smooth out undulations in the lawn surface. The type of material used depends upon the depth of the undulations. Where small undulations are concerned a quality mixture of graded sand and loam/soil will be applied. The existing grass will grow through the Top Dressing. When the undulations are more substantial a Soil Top Dressing would be more suitable with new seed being applied after Top Dressing.